Job Description: We are currently seeking a results-driven, construction management professional to add to our team in Northern California. This position will report to the Director of Construction and will participate in managing and developing the regional portfolio by overseeing multifamily renovation projects. The ideal candidate should have demonstrated success in managing multiple apartment renovation projects within a high-energy and fast-paced company. Local knowledge of Northern California multi-family suppliers, contractors, and building codes is essential and this position requires strong business acumen and excellent leadership skills. The position is based in Palo Alto and will involve some travel in the Bay Area, telecommuting, and other means necessary to communicate and manage construction projects. 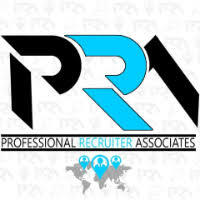 For immediate consideration, please forward a copy of your current resume to info@profrecruiters.com referencing job #1777 or a link to this job.